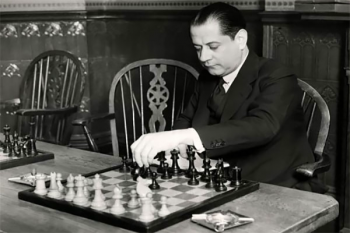 The 3rd World Chess Champion Jose Raul Capablanca had a fantastic technique and considered to be the virtuoso of the decade. He learned to play chess still at the age of 4. On the third day, he already knew all the moves. From that time was raising the chess titan. 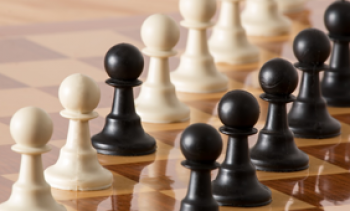 In Capablanca's games, the experts specified his accuracy, intuition and the ability to perceive the situation fast and analyze the opportunity, the excellent technique. 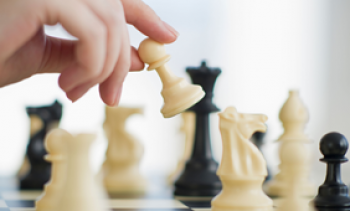 Capablanca could also understand the opponent’s weak sides fast and use them for his victory. 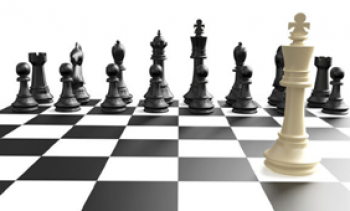 He was considered to be “The chess technics in human form”. Being one of the famous players in his time, Capablanca enjoyed great authority; hence the memories of him are very rich. Jose Raul Capablanca was famous and valued not only in his times. His games educated and continue to educate many generations. • He wrote several chess books during his career, one of the famous was “Chess Fundamentals” Mikhail Botvinnik regarded this as the best chess book ever written. But this is not all ! We collected Jose Raul Capablanca’s best games, by watching them we can find numerous interesting and educative things and use in our own games.